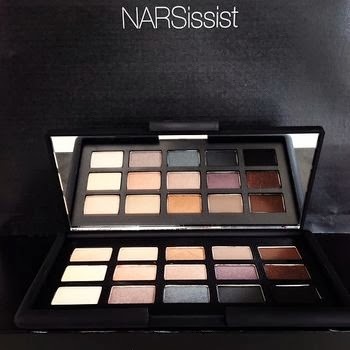 Rumour has it that the NARS Narsissist Eye Palette will launch on the 20th of January here in the UK and US. There is no word on the price but I'm pretty sure most of us won't mind dipping into our overdraft to secure this beauty! Fifteen shades of NARS eyeshadow in one place and knowing NARS it will be a great size for travel. Swatches on Spectra show it to be a great dupe for the Lorac Pro Palette. It is also rumoured that this will be to celebrate 20 years of NARS cosmetics, if you search for the palette on Instagram lots of images do come up from NARS employees so I guess that cat is well and truly out the bag. One thing that is for sure is that NARS Narsissist Eye Palette will be mine! All information and images are credit to Specktra - link.